If you have neuropathy caused by diabetes, you may be eligible for Social Security disability benefits. Peripheral neuropathy is one of the most common and severe complications of diabetes. While a neuropathy diagnosis alone will not always qualify for disability benefits, many people are eligible for financial assistance from the Social Security Administration. Neuropathy symptoms can include disorganization of motor function of two extremities, such as the hands, arms, wrists, shoulders, or legs, that result in an inability to stand from a seated position. It can also cause an inability to maintain balance while standing or walking without an assistive device or help from another person, or an inability to use both upper extremities that limits your ability to complete work-related activities. 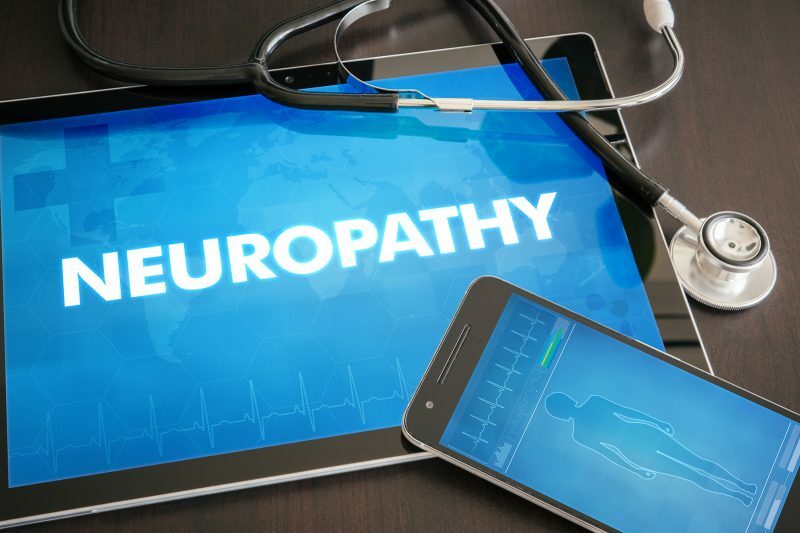 Many types of neuropathy are “idiopathic,” which means the cause is unknown, but a number of conditions can trigger it. Diabetes is the most common cause of neuropathy. High blood sugar levels can cause severe diabetic nerve pain. Other possible medical conditions include chronic kidney disease, Lyme disease, and some autoimmune disorders, such as rheumatoid arthritis. The Social Security Administration (SSA) will use its own medical guide of qualifying criteria, known colloquially as the Blue Book, when determining whether an applicant is eligible for Social Security benefits. For all neurological disorders, including peripheral neuropathy, the SSA will want to receive a full medical history and physical examination from a neurologist. Included in the reports should be descriptions of any prescribed neuropathy treatment, such as nerve pain medications, as well as your response to the treatment. The SSA will also want to see any relevant laboratory tests and imaging results, such as x-ray, CT scans, MRIs, or EEGs. The entire Blue Book can be found online, so you can always review the neuropathy listings with your doctor to see where you may qualify. Other sections of the Blue Book that may be relevant to your claim are vision loss or amputation. It’s important to note that while neuropathic pain can be very difficult to overcome, it is not a qualifying condition for the SSA due to the fact that pain is very challenging to measure. You’ll need to show that you’re physically unable to work to be approved for disability benefits. The easiest way to apply for disability benefits is online on the SSA’s website. If you’re unable to type due to your neuropathy, you can always ask a family member to fill out the application on your behalf. If you’d rather apply with the assistance from a Social Security representative, you can do so at your local SSA office. Call the SSA toll free at 1-800-772-1213 to make an appointment to apply in person today. This article was written by the Outreach Team at Disability Benefits Help. They provide information about disability benefits and the application process. To learn more, please visit their website at http://www.disability-benefits-help.org/ or by emailing them at help@ssd-help.org.